The Lazy Way to Lose Belly Fat. 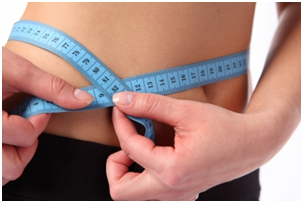 Are you still struggling with belly fat even though you are eating right and exercising more? Do you experience fatigue and moodiness throughout the day? How often do you get a good night's sleep? If your answer is "not often" then this can be the reason you still have belly fat. We all know that eating a nutritious diet and exercise are important when it comes to losing weight. However, most people overlook another component to fitness and that is sleep. Most of us don't make sleep a priority theses days. Getting enough sleep is a complicated thing for some people because they have so much to do in little time. So sleep ends up taking a back seat to everything else. Studies have shown that belly fat is a symptom of a lack of sleep. If you are not getting enough sleep, you are sabotaging your efforts to lose belly fat. Why Sleep is Important for Losing Belly Fat. Studies show that if you are getting too little or poor quality sleep at night, chances are you will gain weight - especially in the mid-section. So what's the link between sleep and losing belly fat? Sleep affects the levels of two key hormones in the body: Leptin and Ghrelin. These hormones act as checks and balances in the body and their role is to stimulate and suppress your appetite. Leptin is a hormone produced by your body's fat cells and is responsible for suppressing hunger. Ghrelin is a hormone secreted by your stomach and stimulates your appetite. When you don't get enough sleep, it creates imbalances where your leptin levels in the blood drops and your ghrelin levels rises causing you to feel hungry. When this happens you start to crave sugary, high-carb foods. That's why people who are sleep-deprived tend to be tired and have no energy so they eat high calorie, energy-producing food to make up for the lack of sleep. As as a result, they end up consuming more calories and have no energy to exercise. I see this a lot with people who work the third-shift on their jobs. But if you are getting enough sleep then the opposite will happen. Sleep will decrease your hunger making you feel rested and satisfied. Therefore, you will lose weight because you are not taking in those extra calories. Also, getting the proper amount of sleep helps to lower the cortisol levels in your blood, while lack of sleep raises your cortisol. If you have high levels of cortisol it will lower your metabolism, which makes it difficult to burn calories while you sleep. All this talk about getting enough sleep probably have you wondering: "What is the proper amount of sleep?" Well, experts always say 8 hours of sleep is needed to get a good nights rest. But, really the amount of sleep you need maybe different so eight hours may not apply to you. Some people can get by with 5 hours of sleep and be rested the next day. Others, like myself, need at least 7 hours of sleep. It also differs among different age groups. Most adults need about 7 to 9 hours of sleep to feel well-rested. The younger you are the more sleep you need. Some people think they can make up for lost sleep by sleeping more than 9 hours. This is not healthy, either. Sleeping too much can have the same negative effect as sleeping too little. It causes you to feel fatigued and depression can set in. It's important to listen to your body when it's telling you to go to sleep. If you usually feel sleepy at 9pm or 10pm, then go to bed at that time every night. Your body's natural clock needs a consistent schedule in order to learn when to give off those hormones that make you sleep at night. Not only will you get a restful night sleep, but you will end up losing some weight in the process. Want to Learn How You Can Sleep Better? If you are looking for a way to track and measure your sleep quality this little gadget by Fitbit is a must. Just slip this bad boy on your wrist band at night and it will do the rest. 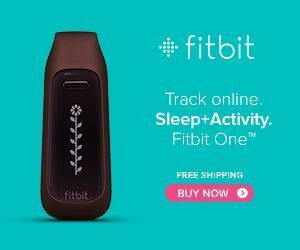 It tracks everything from - how long and how well you sleep and how many times you wake up during the night. It even has a silent wake alarm that gently vibrates to wake you up in the morning.